There’s something special about a proper German sport sedan and coupe. 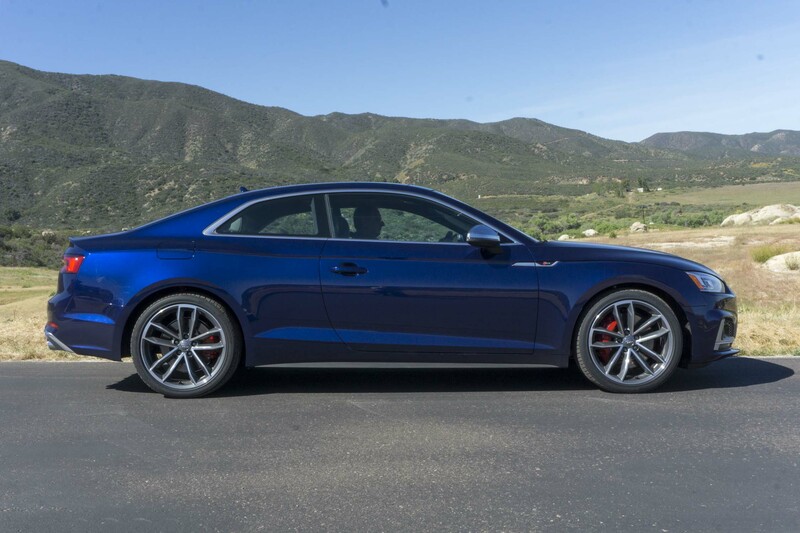 When done right, they deliver a perfect blend of style, performance, luxury and comfort, and excellent examples are the latest offerings from Audi: the S4 sedan and S5 coupe. 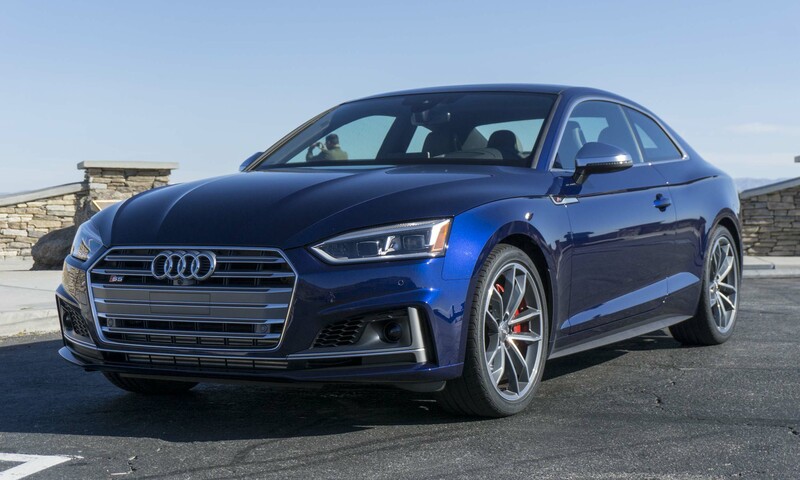 We had a chance to drive the new A4 a few months back and found it impressive — the S4 sedan and S5 coupe simply take everything up several notches. The S variants reside in the middle of Audi’s lineup (A is more common, RS extreme), and are designed to inspire driving enthusiasts during the daily commute. Do they accomplish that? Let’s see. While the S4 sedan and S5 coupe share common vehicle architecture, they will likely appeal to different buyers. 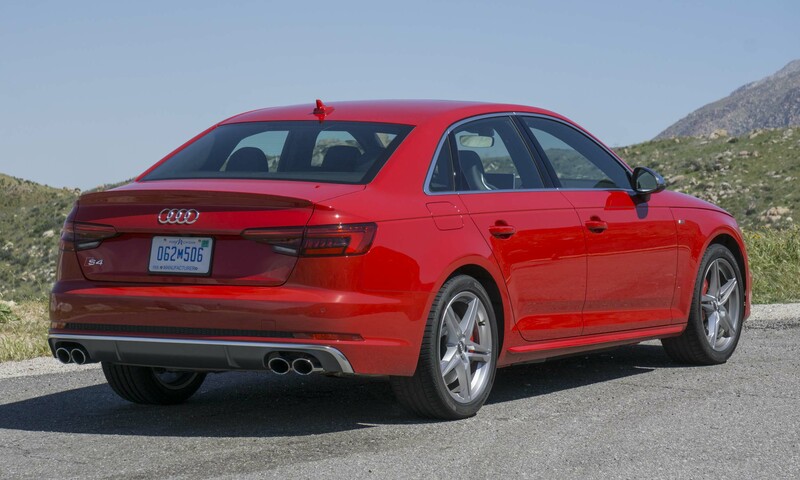 The S4 is less expensive but has slightly more standard equipment and, most importantly, features rear doors. The S5 costs almost $3,000 more, and although it is not as useful as the S4 regarding interior space and access, it is the sexier of the two. At first glance the S5 coupe looks much wider than the S4 sedan, giving it a more aggressive stance. 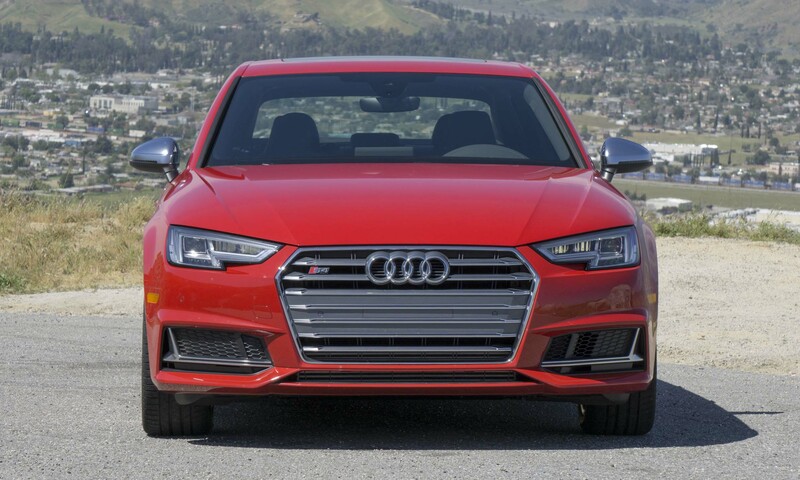 However, this is largely due to the wider, lower grille — the S5 is a mere 0.3 inches wider than the S4. The S4 is about 1.4 inches taller and 2.1 inches longer than the S5, which does provide a bit more room inside but makes the S5 look sportier. 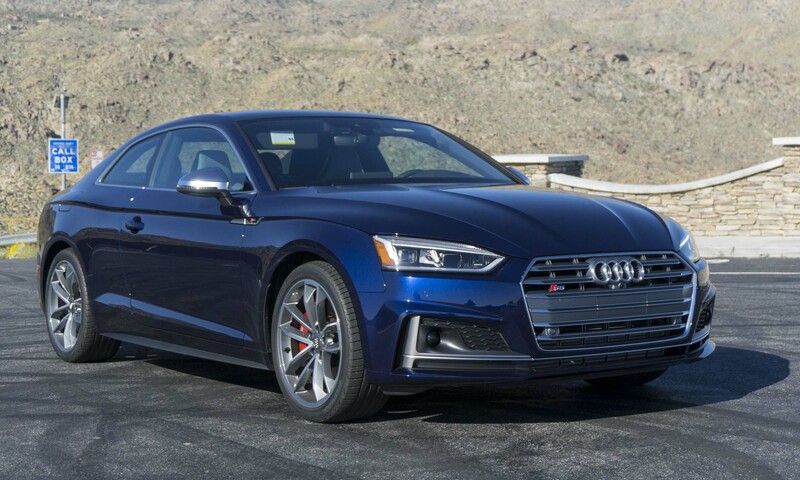 Thanks to extensive use of lightweight materials, the S4 is only 22 pounds heavier than the S5 — not enough to make a noticeable difference in performance. While the S4 and S5 are visually different, both are basically the same under the skin. The two models employ the same engine, transmission and Audi’s legendary quattro all-wheel-drive system. Packaging is slightly different, since these sibling vehicles do attract very different buyers. With a starting MSRP of $50,900, the S4 Premium Plus comes well equipped with leather trim, 3-zone automatic climate control, heated sports seats with side bolsters and massagers, a power sunroof, a rearview camera and a Bang & Olufsen sound system. 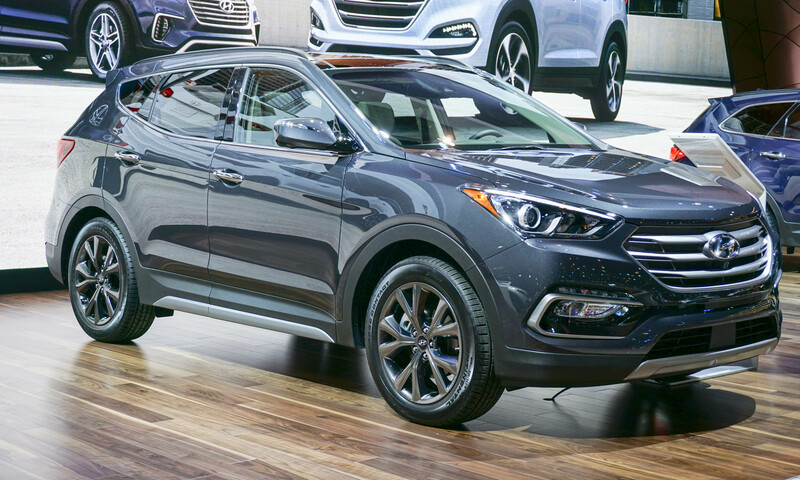 Also standard are LED headlights, a trunk-lid spoiler, sport suspension, quad exhaust pipes and 18-inch double-spoke-star wheels. Priced slightly higher than the S4, the S5 Premium Plus MSRP starts at $54,600. 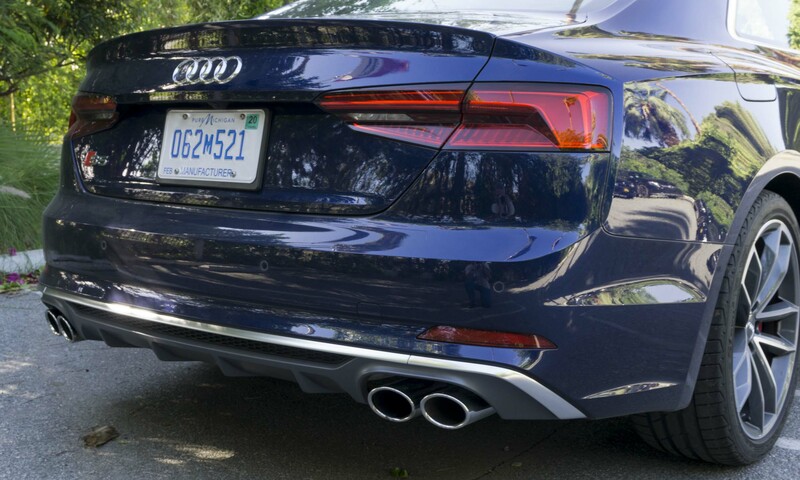 The S5 Premium Plus is equipped almost identically to its 4-door sibling — the only difference being that the Bang & Olufsen sound system is not standard, but Audi’s pre sense rear warning system is included. The Prestige adds almost all of the bells and whistles with a starting price of $55,800. Upgrades over the Premium Plus include dual-pane acoustic glass, a full-color head-up display, a top-view camera system, a larger 8.3-inch display screen and the Audi MMI Navigation plus system. Pre sense rear and Audi side assist warning systems are also included. The top-level S5 is priced at $59,000 and adds to the Premium Plus with the Bang & Olufsen sound system as well as all the items included on the S4 Prestige. 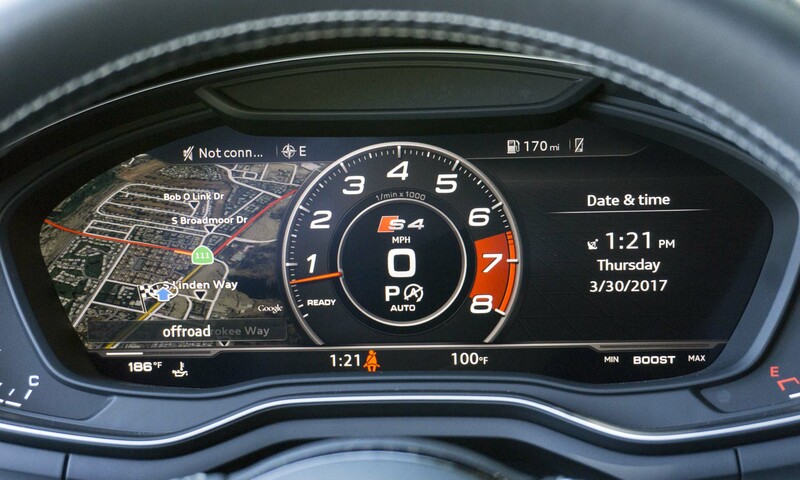 Both the S4 and S5 are available with Audi’s innovative Virtual Cockpit, which takes advantage of the completely digital instrument panel. There are a number of view options, including a navigation display that puts a full-screen map directly in front of the driver. Completely configurable, our preferred cockpit is the new performance screen that puts the tachometer and speedometer front and center with space for navigation and other information on the sides. 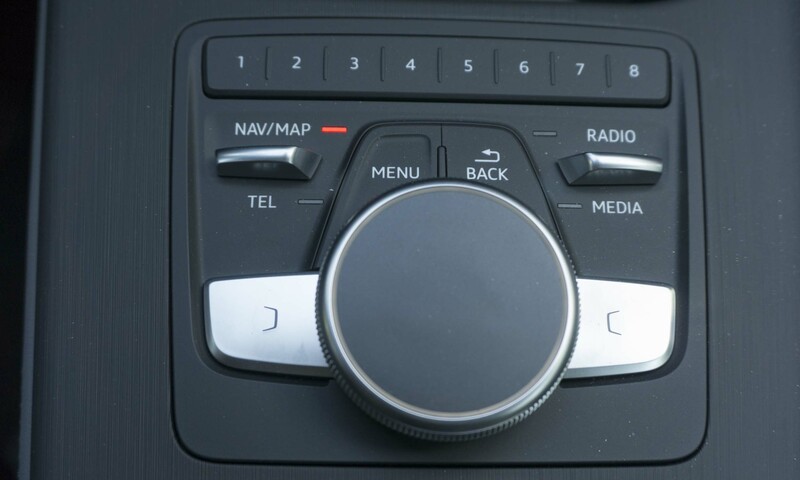 Audi’s updated MMI interface is more intuitive than previous versions, with hard switches to access common screens such as navigation, audio or telephone. The center display is large and easy to read, with controls corresponding to the hard buttons and dial in the center console. The rear seat in the S4 is a little tight but could easily be used by two adults. 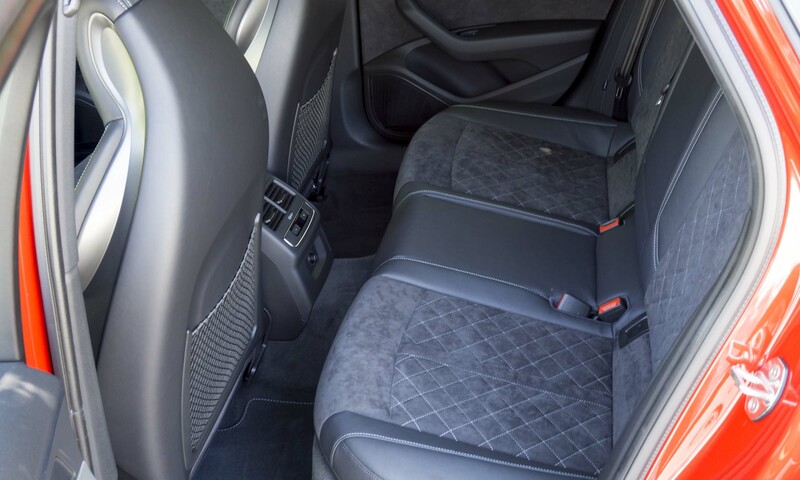 The center rear seat is certainly usable, but with the hump in the floor it won’t be the most comfortable. 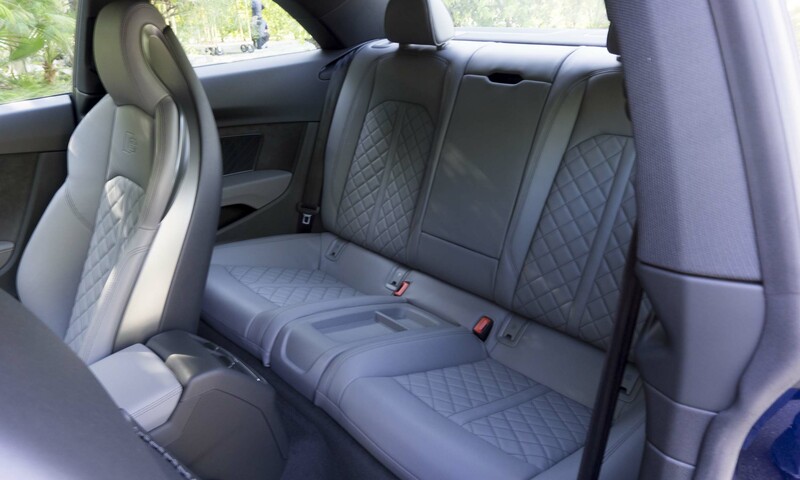 Rear seats can be heated as part of an optional Cold Weather package. 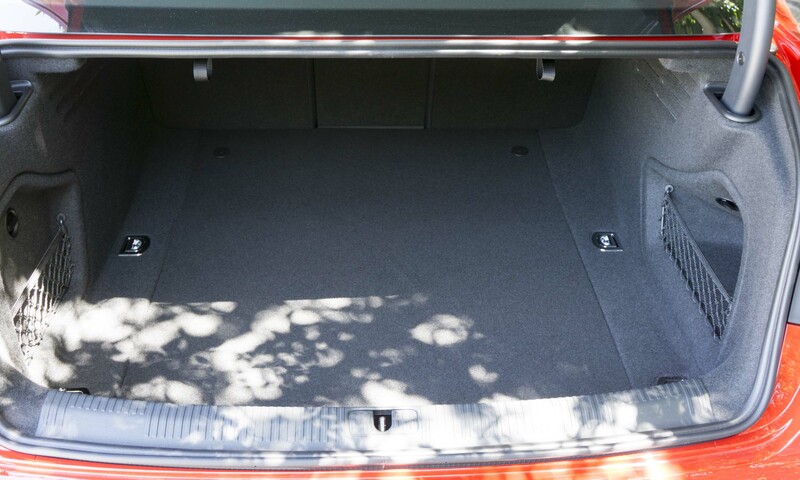 Seats also fold to expand trunk space. 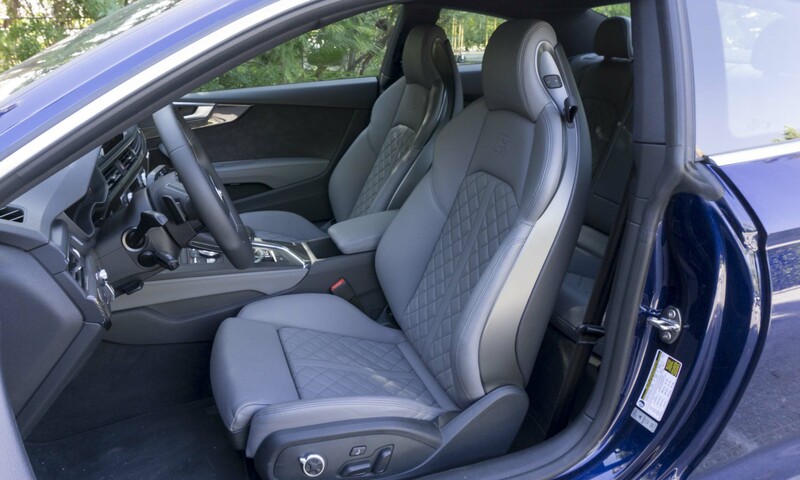 The back seat is where the S4 and S5 differ the most — expected when comparing a sedan to a coupe. The S5 has space for two in the rear seat, and passengers sit deeper in them than in the S4. Legroom is considerably less and, as with any coupe, access requires some contortionist skills. However, most coupe buyers will be less concerned with rear-seat usability — it will more likely be used for stowage. The trunk space in either vehicle is generous — plenty of space for a few suitcases. 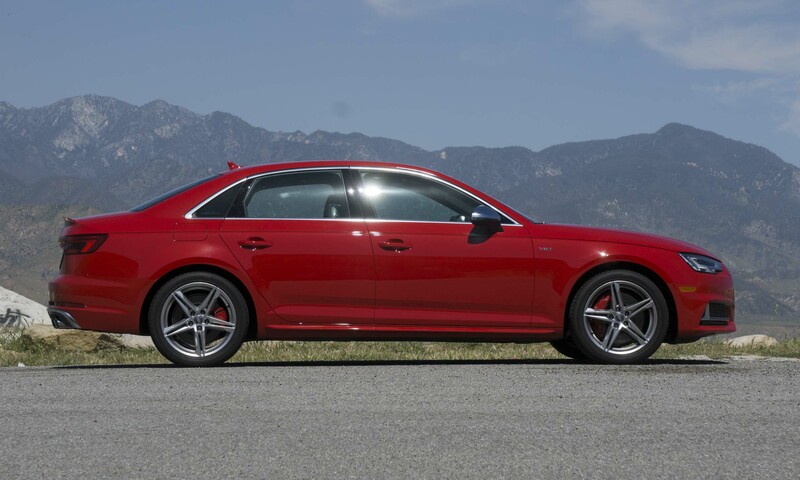 The S4 does offer slightly more space, but only an additional 1.4 cubic feet. 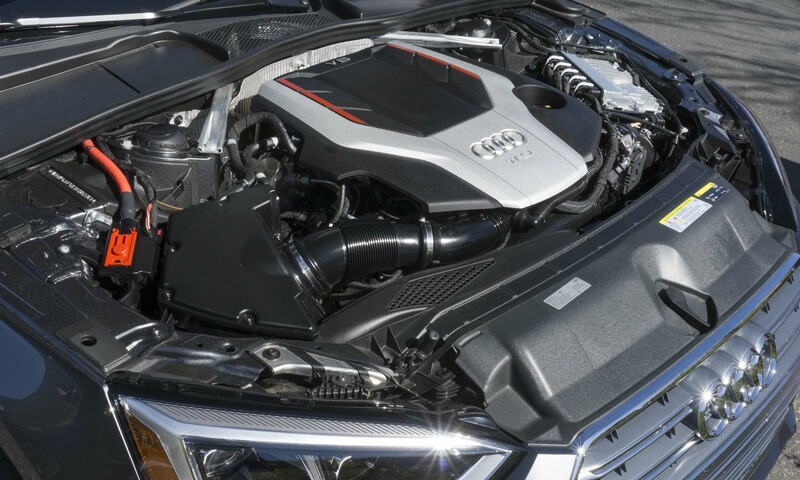 Both the S4 and S5 share the same powerplant — Audi’s 3.0-liter TFSI turbocharged V6 engine producing 354 horsepower and 369 lb-ft of torque. Peak torque is available as low as 1370 rpm for quick acceleration. 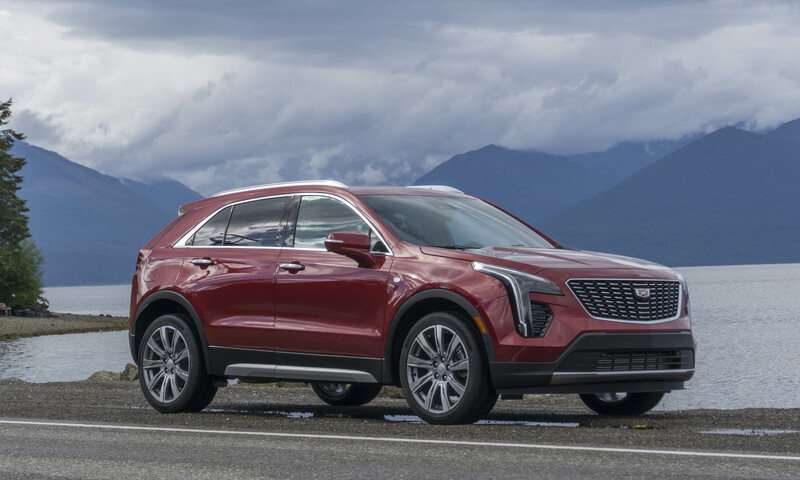 The only transmission available is an 8-speed Tiptronic automatic transmission — it’s not a dual-clutch gearbox, but shifts are still extremely quick. Power gets directed to all four wheels via Audi’s quattro all-wheel-drive system. 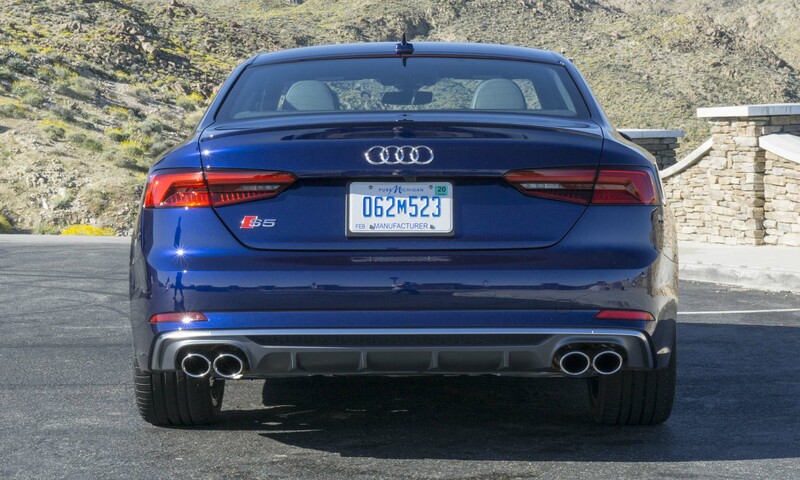 Both the S4 sedan and S5 coupe will reach 60 mph in a mere 4.4 seconds, with top speed limited to 155 mph. Fuel economy ratings are the same for both models as well: 21 mpg city / 30 mpg highway / 24 mpg combined. 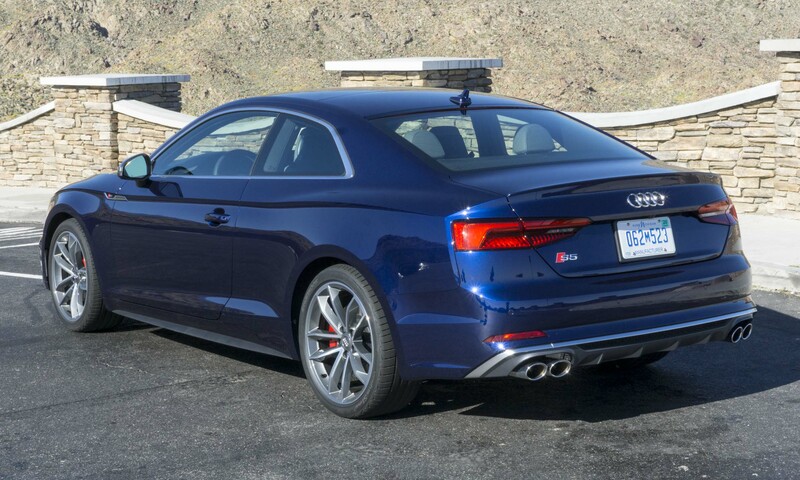 While the S5 is clearly the sportier-looking vehicle of the pair, from behind the wheel the S4 and S5 are identical. We started our press drive along twisty mountain roads outside Palm Springs, California, and were immediately impressed. Ascending away from the city we never experienced a lack of power. 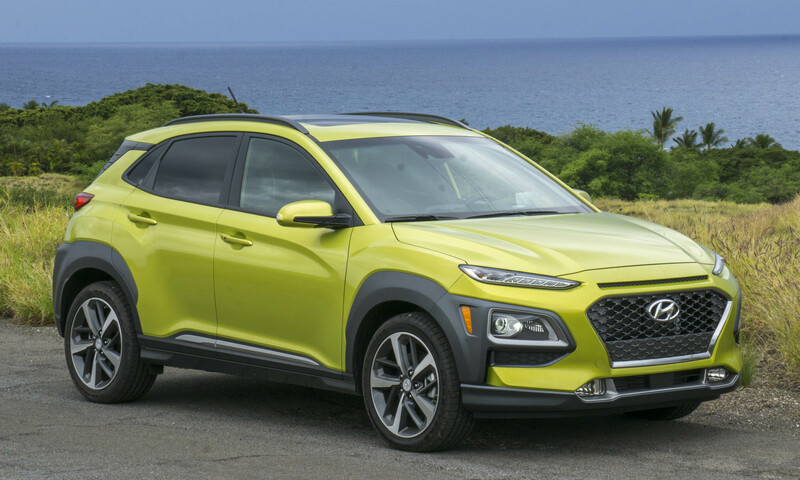 Passing on uphill sections is effortless, and the gearbox downshifts as quickly as if you were doing it yourself — likely faster. Before our drive, we anticipated that the automatic transmission wouldn’t perform as well as a dual-clutch gearbox, but this was not the case. Gear changes are extremely quick with smooth upshifts and downshifts. And power builds so quickly that drivers can be in triple digits before realizing how fast they’re moving. The paddle shifters work well for drivers who prefer an added level of engagement; however, in sport mode shifts are spot-on without a need for manual shifting. 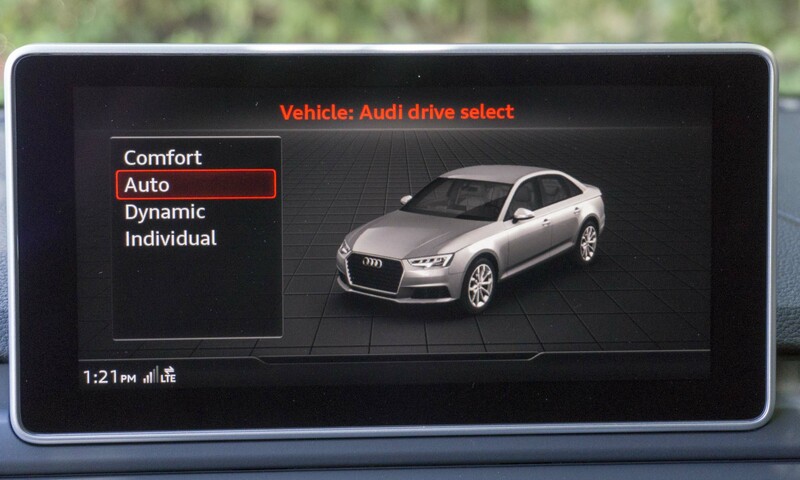 Audi’s optional drive modes alter the way each vehicle behaves. Selections adjusts steering feel, engine response, shift timing, suspension and even exhaust note, depending on what the driver chooses for the current situation. 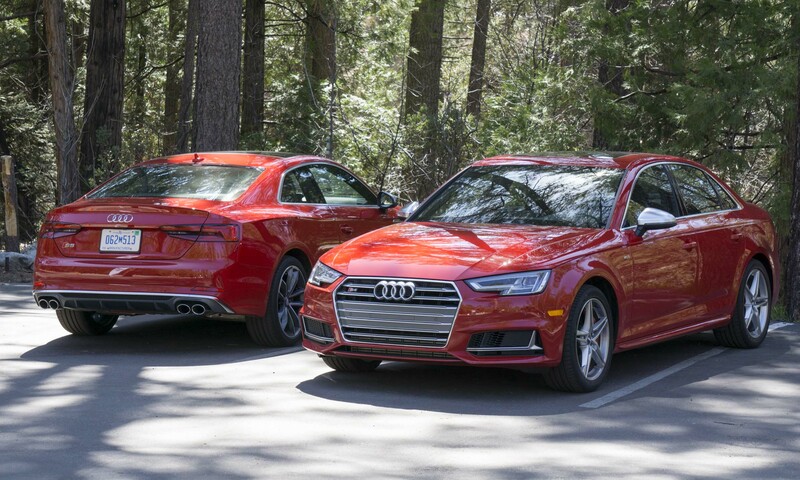 The S4 and S5 have Herculean grip in corners — during our test we never approached the limits of what these cars can do, and we were moving quickly. Steering is incredibly precise and the cars stay perfectly flat and composed through corners — rough roads did not upset the balance. Of course, not every minute behind the wheel can be on fun, twisty roads (a shame), but the S4 and S5 feel perfectly set up for everyday driving as well. 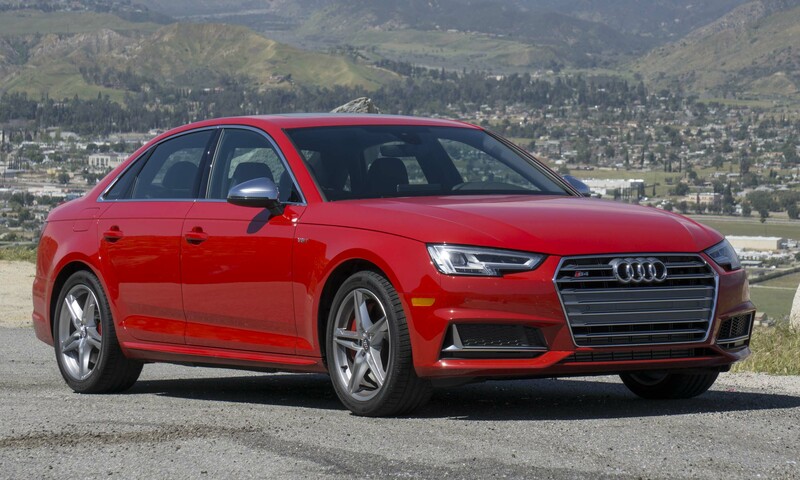 With comfortable seats and a smooth, solid ride, these high-performance Audis are easy to drive around town and would be excellent companions during a long road trip. The S4 and S5 barely break a sweat cruising at 70 mph. We’ll admit to longing for the throaty sound of the V8 that used to power the S4 and S5, but the turbocharged V6 offers better performance and fuel economy than a V8, and it’s hard to argue with that. The V6 does have a nice exhaust note, but it is somewhat muted. All told, the S4 and S5 are very satisfying to drive. 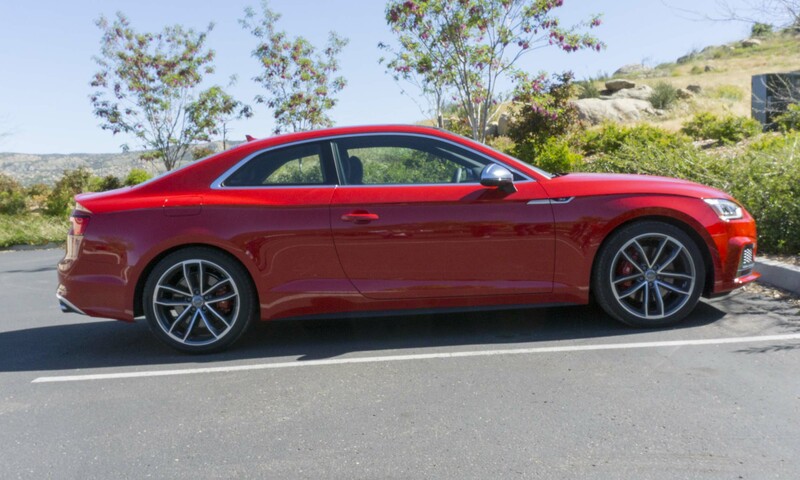 The Audi S4 sedan and S5 coupe offer a great blend of luxury and performance in two varied but attractive packages. 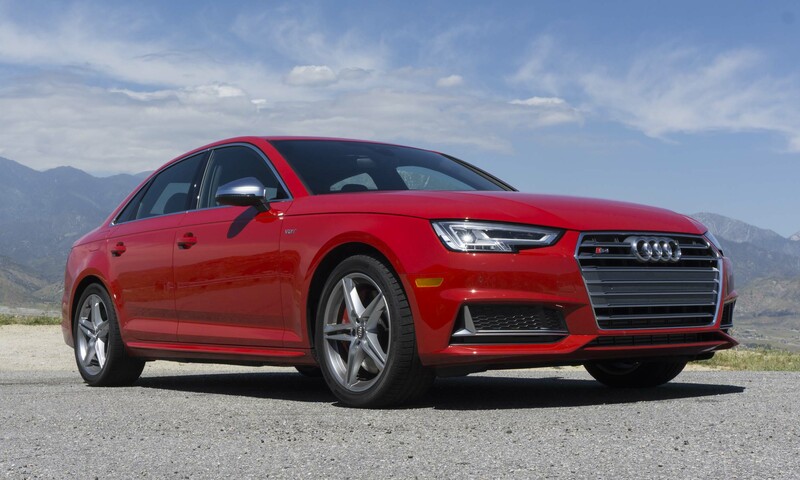 If you’re searching for a car that will turn heads, put a smile on your face every time you drive it and typically only drive with one other person, the S5 is certainly worth a look. If performance is most important and you prefer a subtler ride that offers much more versatility, the S4 is the logical choice. 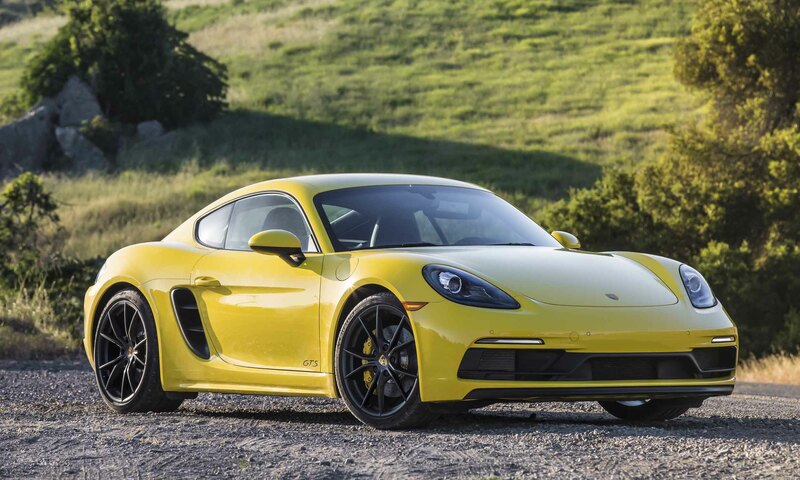 And with prices starting around $50,000, these two German hot rods are undeniably great vehicles. Pros: Excellent performance; great value; beautiful interiors. Cons: No manual transmission; quiet exhaust; easy to exceed speed limits. Bottom Line: Perfect blends of luxury, technology and high performance.